The CS 9300 premium configuration CBCT is a 3D dental x-ray imaging system that will revolutionize our patient treatment: It will help us diagnose more accurately and treat patients with unprecedented confidence. With precise, crystal-clear 3D and 2D digital panoramic images, this system offers our team powerful insights into specific dental regions of interest for your care, such as the evaluation of bone anatomy or examining the extent of tooth fractures. This capability is essential for a wide range of diagnostics that, in turn, help us devise your treatment plans and answer any questions you have about your care and treatment options. New 3D system allows technicians to target a precise area for exposure, you will be exposed to significantly less radiation than other dental 3D units that lack this capability. The system combines speed, image quality and precision placement to dramatically reduce the occasional need for retakes. By using less radiation dose than conventional CT scans. 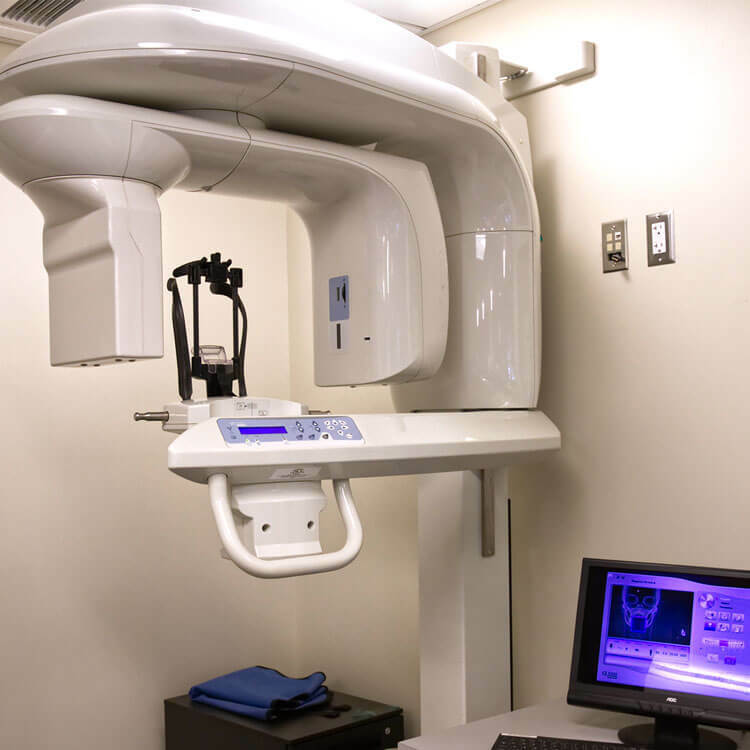 Our 3D system helps to minimize your exposure to radiation when obtaining the necessary diagnostic images needed for your treatment planning.